Key Ideas and Details - Who, What, When, Where, Why, How... FREEBIE! This is a free sample from my Who, What, When, Where, Why, and How packet! 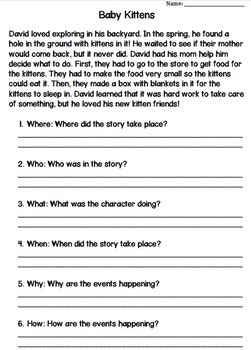 I give one of these every Friday to my second graders as an assessment to check their key ideas and details skills! Visit my store to get more!